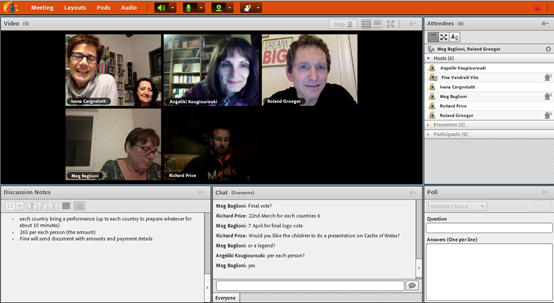 Live Meeting 31. 01 .2019 - kcc-erasmuss Webseite! Let's share our live events all together. 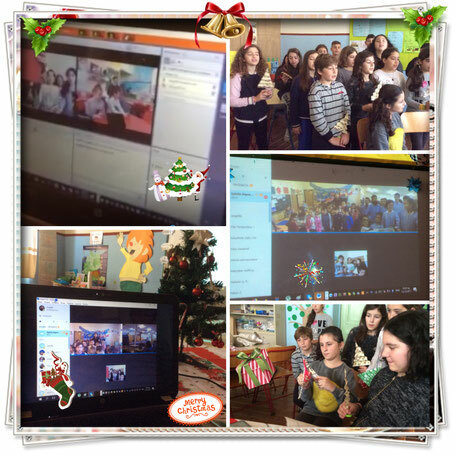 GREECE, AUSTRIA AND CATALONIA joined the live event and here are the results: Christmas carols and Xmas gifts for everyone and we all had great fun! 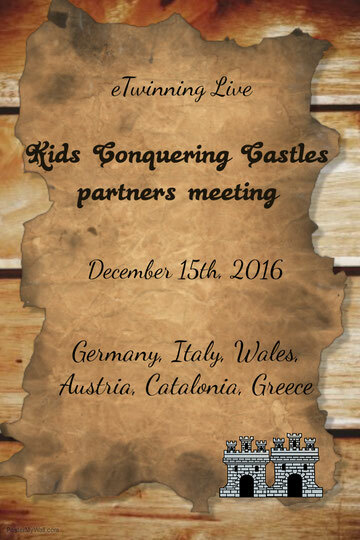 "15th December, Christmas meeting with 3 KCC countries!!! Pupils from Greece really enjoyed it!! 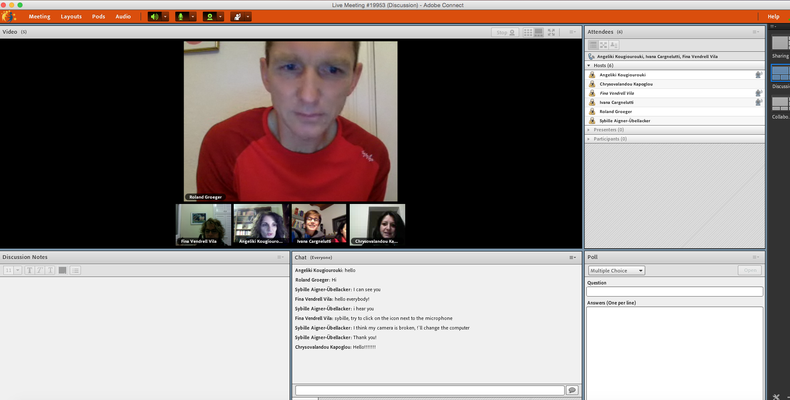 First we met Welsh KCC team through eTwinning Live. Greek Christmas carols traveled to Wales!! Then, Austria and Catalonia welcomed us while singing and showing how to make a Christmas tree with reusable materials. Thank you, Dear friends for the clever ideas about gifts and decorations you show us!! We wish you Merry Christmas!!!" "We had a nice live event with our Italian friends! 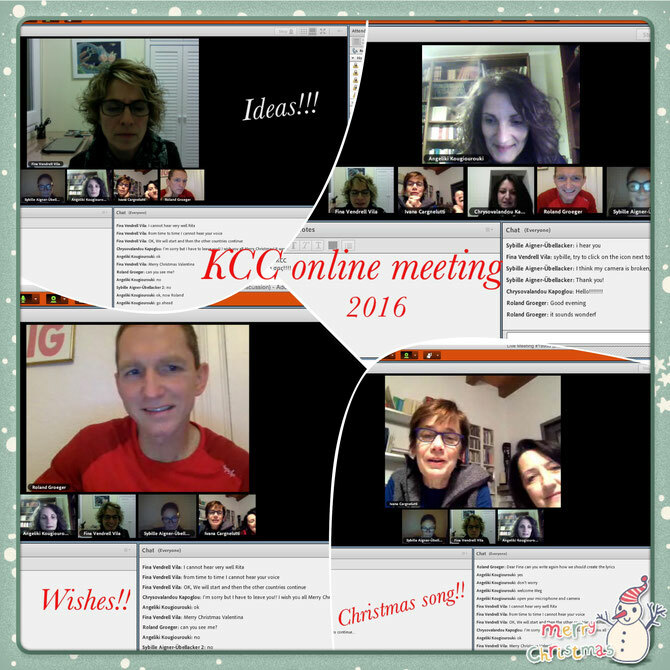 The Erasmus team of OttoWels Primary"
After a long period, full of tasks and activities in all participant countries, partners of the KCC project joined their forces again in an online meeting to discuss several things about this years plan. What did the partners discuss during this meeting? Well, let's hear this interesting conversation about the preparations for schools' exchange in Navas!! !